Located in the heart of South Florida's agricultural country, TRU-FLO CORP. was founded initially to serve the local sugar, produce, citrus, and cattle industries. 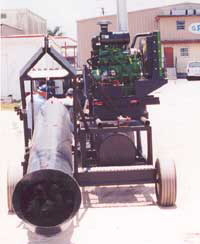 As the firm's reputation for high quality, service, and product integrity spread, a demand for TRU-FLO pumps developed throughout the western hemisphere. Today, TRU-FLO pumps are on the job, working to move water for a wide variety of customer needs from Canada to South America. TRU-FLO MOBILE PUMPS put high volume pumping capacity on wheels. Built in sizes up to a 24 ” discharge and 15,000 GPM, these mobile units can be used for seasonal and temporary tasks that might not justify the construction of a pump station. 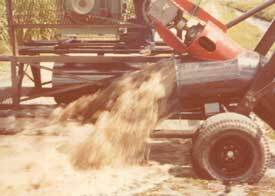 Contractors use these for dewatering ditches and coffer-dams. Their inherent corrosion resistance makes them ideal for salt water and waste water applications. Utilities use them to bypass breaks in sewage or storm drainage lines. TRU-FLO MOBILE PUMPS are built on trailers with low centers of gravity so that they will track and pull easily, even by a passanger car. The high flotation tires permit their operation even in marshland. 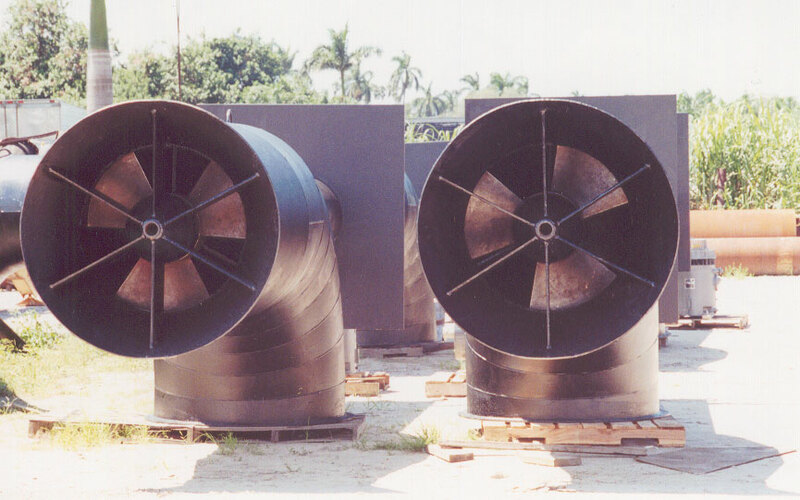 Axial flow efficiency delivers more GPM per horepower. Whether on the farm, in the factory, at bridge or pipeline sites, TRU-FLO MOBILE PUMPS are engineered for years of economical, heavy duty use.